Established in 1985 CIK Construction are an Essex based business who operate in the south east of England including London, Home counties and East Anglia. 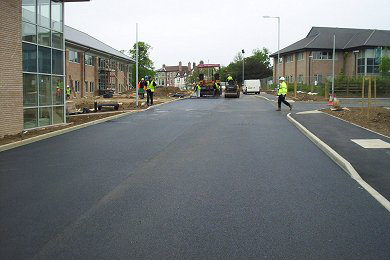 We are specialists in tarmacadam works, road construction and light civil engineering works. With more than 20 years experience we provide a comprehensive and tailored package to suit the needs of our clients to achieve consistently high standards of work. Our standards are further enhanced by long established relationships with our materials suppliers. We are CHAS accredited and members of Construction Line, Rospa, Acclaim, Excor, FTA and HAPAS. 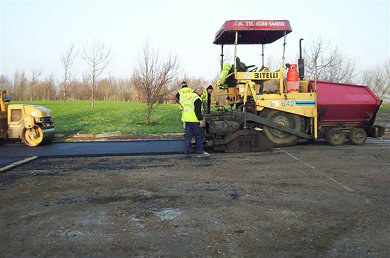 We work with both local borough and county councils as well as undertaking work at regional airports. 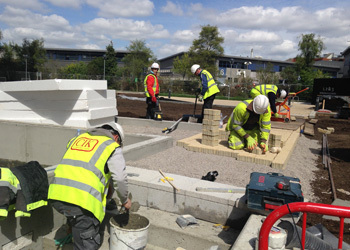 All our staff are directly employed and our site personnel are fully trained to Acclaim standard or equivalent. 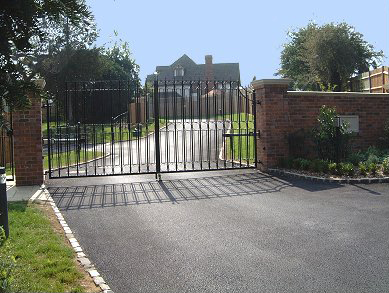 Our range of services include driveways, footways, cycleways, sports pitches and courts, school playgrounds, new build housing estates, car parks and carriageways. Our client base ranges from local builders to national contractors. Go to our Our Clients page to see a list of some of our customers and sample projects. CIK are able to carry out full reconstruction to the client's specification. 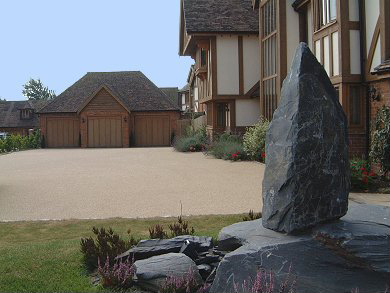 This includes a variety of kerbing options, colours and surfaces. The photograph to the right shows SMA stone mastic asphalt at a site in Blackheath, south east London. 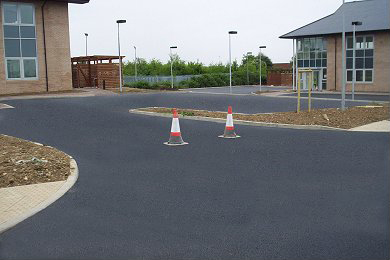 CIK Construction are able to undertake a wide range of commercial projects such as new road construction, car parking areas, forecourts etc. in a variety of surfaces. 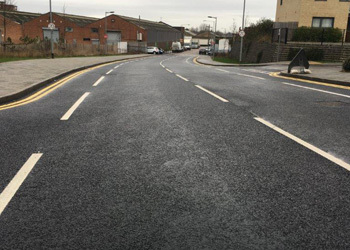 Stone Mastic Asphalt (SMA) was originally developed in Germany as a durable road surfacing to resist wear from studded tyres. 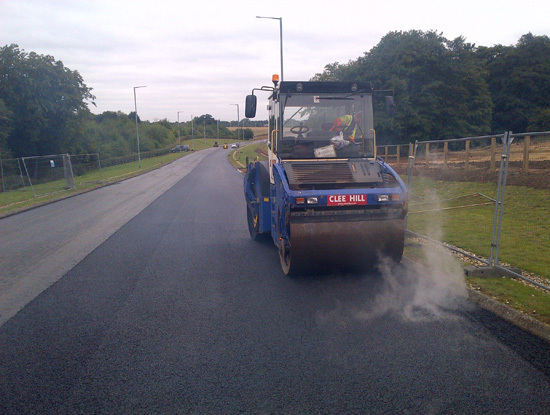 This makes it ideal for use in areas such as industrial parks and high speed roads. The photograph below shows one of our machines laying AC14 dense surface on a base prepared by others at Worthing, West Sussex. As well as surfacing, CIK Construction are also able to do line markings and install cycle shelters, fencing, lighting and play equipment. We can also do thermoplastic decorative coloured playground markings which not only look fantastic, but when applied are brightly coloured and extremely durable. Such markings stimulate school playground activity. 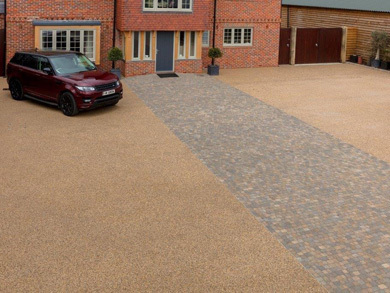 Due to the flexibility of the material we are able to create bespoke designs to any specification on any tarmac surface. For more information on bespoke thermoplastic decorative markings, go to www.projectplaygrounds.co.uk who we work closely with. 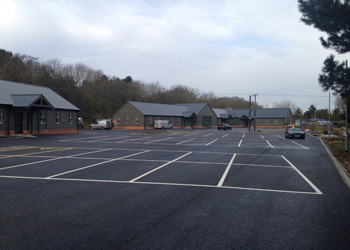 CIK Construction have undertaken projects at various Commercial and PCT sites around the county. 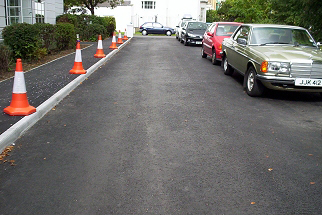 These include car parks, access roads, line marking, landscaping, block paving and slab works. For further information fill out the following form. Copyright © 2016 CIK Construction. All Rights Reserved.